It's Luke Cage Eve as the highly anticipated (early reviews make it critically acclaimed too) Netflix series, Marvel's Luke Cage, is released in its entirety tomorrow on Friday, September 30. In order to whet appetites even more, the title sequence you're going to hear a lot in a manner of hours has been released. The jazzy video features a dedicated color scheme, Cage's iconic comic book signature yellow, that smoothly blends his silhouette with a montage of street signs from his hometown Harlem. 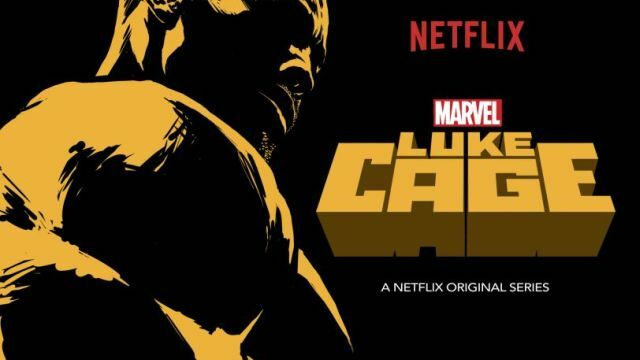 Luke Cage also stars Mahershala Ali (Cornell “Cottonmouth” Stokes), Alfre Woodard (Mariah Dillard), Simone Missick (Misty Knight), Theo Rossi (Shades), Frank Whaley (Rafael Scarfe) and Rosario Dawson (Claire Temple).